The hugely successful Conti Premium Contact SSR is fitted as standard to BMW 1 and 3 Series base models equipped with 16 inch wheels and is approved for optional runflat fitment on Vauxhall Corsa, Astra and Zafira vehicles. In the most recent runflat tyre test carried out by AutoExpress (Oct 2006), the ContiPremiumContact SSR excelled in wet and dry braking and in handling on wet roads.Continental SSR (Self Supporting Runflat) tyres offer motorists increased safety. 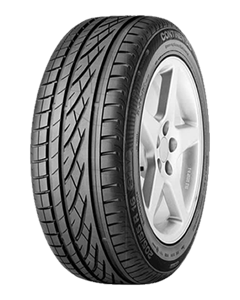 In the event of air-pressure loss in the tyre (due to a puncture, for example), the reinforced sidewalls of Continental SSR tyres will support the vehicle and prevent the sidewalls of the deflated tyre from being crushed between the road and the wheel rim.